The human brain is a sophisticated learning machine, forming rules by memorizing everyday events (“sparrows can fly” and “pigeons can fly”) and generalizing those learnings to apply to things we haven't seen before (“animals with wings can fly”). Perhaps more powerfully, memorization also allows us to further refine our generalized rules with exceptions (“penguins can't fly”). As we were exploring how to advance machine intelligence, we asked ourselves the question—can we teach computers to learn like humans do, by combining the power of memorization and generalization? It's not an easy question to answer, but by jointly training a wide linear model (for memorization) alongside a deep neural network (for generalization), one can combine the strengths of both to bring us one step closer. At Google, we call it Wide & Deep Learning. It's useful for generic large-scale regression and classification problems with sparse inputs (categorical features with a large number of possible feature values), such as recommender systems, search, and ranking problems. Today we’re open-sourcing our implementation of Wide & Deep Learning so that you can easily train a model yourself. Please check out the TensorFlow tutorials on Linear Models and Wide & Deep Learning, as well as our research paper to learn more. 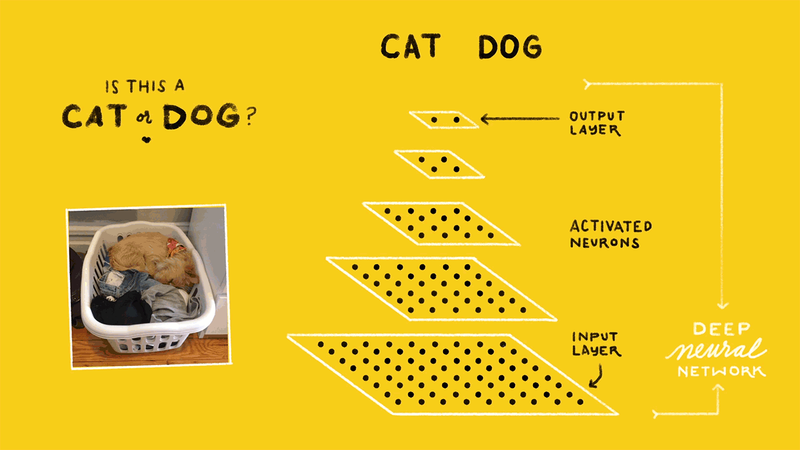 How Wide & Deep Learning works. Let's say one day you wake up with an idea for a new app called FoodIO*. A user of the app just needs to say out loud what kind of food he/she is craving for (the query). The app magically predicts the dish that the user will like best, and the dish gets delivered to the user's front door (the item). Your key metric is consumption rate—if a dish was eaten by the user, the score is 1; otherwise it's 0 (the label). You come up with some simple rules to start, like returning the items that match the most characters in the query, and you release the first version of FoodIO. Unfortunately, you find that the consumption rate is pretty low because the matches are too crude to be really useful (people shouting “fried chicken” end up getting “chicken fried rice”), so you decide to add machine learning to learn from the data. In the 2nd version, you want to memorize what items work the best for each query. So, you train a linear model in TensorFlow with a wide set of cross-product feature transformations to capture how the co-occurrence of a query-item feature pair correlates with the target label (whether or not an item is consumed). The model predicts the probability of consumption P(consumption | query, item) for each item, and FoodIO delivers the top item with the highest predicted consumption rate. For example, the model learns that feature AND(query="fried chicken", item="chicken and waffles") is a huge win, while AND(query="fried chicken", item="chicken fried rice") doesn't get as much love even though the character match is higher. In other words, FoodIO 2.0 does a pretty good job memorizing what users like, and it starts to get more traction. Later on you discover that many users are saying that they're tired of the recommendations. They're eager to discover similar but different cuisines with a “surprise me” state of mind. So you brush up on your TensorFlow toolkit again and train a deep feed-forward neural network for FoodIO 3.0. With your deep model, you're learning lower-dimensional dense representations (usually called embedding vectors) for every query and item. With that, FoodIO is able to generalize by matching items to queries that are close to each other in the embedding space. For example, you find that people who asked for “fried chicken” often don't mind having “burgers” as well. Combining Wide and Deep models. However, you discover that the deep neural network sometimes generalizes too much and recommends irrelevant dishes. You dig into the historic traffic, and find that there are actually two distinct types of query-item relationships in the data. The first type of queries is very targeted. People shouting very specific items like “iced decaf latte with nonfat milk” really mean it. Just because it's pretty close to “hot latte with whole milk” in the embedding space doesn't mean it's an acceptable alternative. And there are millions of these rules where the transitivity of embeddings may actually do more harm than good. On the other hand, queries that are more exploratory like “seafood” or “italian food” may be open to more generalization and discovering a diverse set of related items. Having realized these, you have an epiphany: Why do I have to choose either wide or deep models? Why not both? Finally, you build FoodIO 4.0 with Wide & Deep Learning in TensorFlow. As shown in the graph above, the sparse features like query="fried chicken" and item="chicken fried rice" are used in both the wide part (left) and the deep part (right) of the model. During training, the prediction errors are backpropagated to both sides to train the model parameters. The cross-feature transformation in the wide model component can memorize all those sparse, specific rules, while the deep model component can generalize to similar items via embeddings. We're excited to share the TensorFlow API and implementation of Wide & Deep Learning with you, so you can try out your ideas with it and share your findings with everyone else. To get started, check out the code on GitHub and our TensorFlow tutorials on Linear Models and Wide & Deep Learning. Bringing Wide & Deep from idea, research to implementation has been a huge team effort. We'd to like to thank all the people who have contributed to the project or have given us advice, including: Heng-Tze Cheng, Mustafa Ispir, Zakaria Haque, Lichan Hong, Rohan Anil, Denis Baylor, Vihan Jain, Salem Haykal, Robson Araujo, Xiaobing Liu, Yonghui Wu, Thomas Strohmann, Tal Shaked, Jeremiah Harmsen, Greg Corrado, Glen Anderson, D. Sculley, Tushar Chandra, Ed Chi, Rajat Monga, Rob von Behren, Jarek Wilkiewicz, Christine Robson, Illia Polosukhin, Martin Wicke, Gus Katsiapis, Alexandre Passos, Olivier Chapelle, Levent Koc, Akshay Naresh Modi, Wei Chai, Hrishi Aradhye, Othar Hansson, Xinran He, Martin Zinkevich, Joe Toth, Anton Rusanov, Hemal Shah, Petros Mol, Frank Li, Yutaka Suematsu, Sameer Ahuja, Eugene Brevdo, Philip Tucker, Shanqing Cai, Kester Tong, and more. This week, Las Vegas hosts the 2016 Conference on Computer Vision and Pattern Recognition (CVPR 2016), the premier annual computer vision event comprising the main conference and several co-located workshops and short courses. As a leader in computer vision research, Google has a strong presence at CVPR 2016, with many Googlers presenting papers and invited talks at the conference, tutorials and workshops. We congratulate Google Research Scientist Ce Liu and Google Faculty Advisor Abhinav Gupta, who were selected as this year’s recipients of the PAMI Young Researcher Award for outstanding research contributions within computer vision. We also congratulate Googler Henrik Stewenius for receiving the Longuet-Higgins Prize, a retrospective award that recognizes up to two CVPR papers from ten years ago that have made a significant impact on computer vision research, for his 2006 CVPR paper “Scalable Recognition with a Vocabulary Tree”, co-authored with David Nister, during their time at University of Kentucky. If you are attending CVPR this year, please stop by our booth and chat with our researchers about the projects and opportunities at Google that go into solving interesting problems for hundreds of millions of people. The Google booth will also showcase several recent efforts, including the technology behind Motion Stills, a live demo of neural network-based image compression and TensorFlow-Slim, the lightweight library for defining, training and evaluating models in TensorFlow. Learn more about our research being presented at CVPR 2016 in the list below (Googlers highlighted in blue). Avoiding Negative Side Effects: How can we ensure that an AI system will not disturb its environment in negative ways while pursuing its goals, e.g. a cleaning robot knocking over a vase because it can clean faster by doing so? Avoiding Reward Hacking: How can we avoid gaming of the reward function? For example, we don’t want this cleaning robot simply covering over messes with materials it can’t see through. Scalable Oversight: How can we efficiently ensure that a given AI system respects aspects of the objective that are too expensive to be frequently evaluated during training? For example, if an AI system gets human feedback as it performs a task, it needs to use that feedback efficiently because asking too often would be annoying. Safe Exploration: How do we ensure that an AI system doesn’t make exploratory moves with very negative repercussions? For example, maybe a cleaning robot should experiment with mopping strategies, but clearly it shouldn’t try putting a wet mop in an electrical outlet. Robustness to Distributional Shift: How do we ensure that an AI system recognizes, and behaves robustly, when it’s in an environment very different from its training environment? For example, heuristics learned for a factory workfloor may not be safe enough for an office. We go into more technical detail in the paper. The machine learning research community has already thought quite a bit about most of these problems and many related issues, but we think there’s a lot more work to be done. We believe in rigorous, open, cross-institution work on how to build machine learning systems that work as intended. We’re eager to continue our collaborations with other research groups to make positive progress on AI. This week, New York hosts the 2016 International Conference on Machine Learning (ICML 2016), a premier annual Machine Learning event supported by the International Machine Learning Society (IMLS). 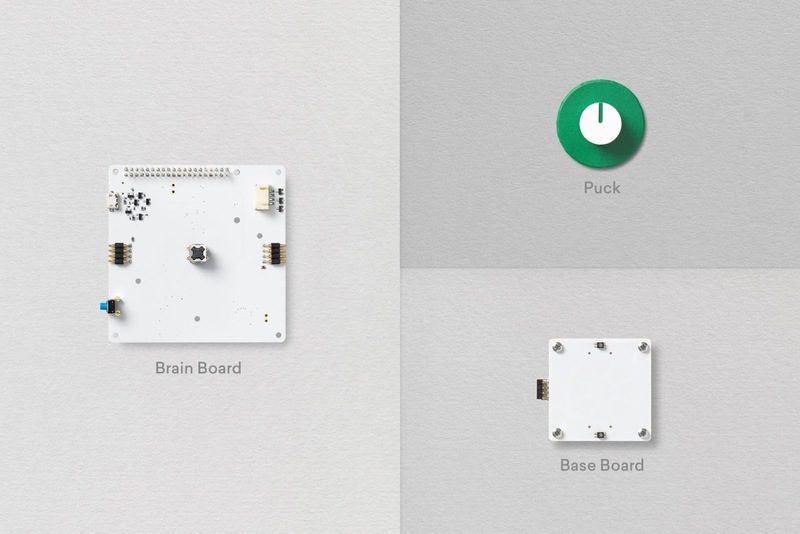 Machine Learning is a key focus area at Google, with highly active research groups exploring virtually all aspects of the field, including deep learning and more classical algorithms. We work on an extremely wide variety of machine learning problems that arise from a broad range of applications at Google. One particularly important setting is that of large-scale learning, where we utilize scalable tools and architectures to build machine learning systems that work with large volumes of data that often preclude the use of standard single-machine training algorithms. In doing so, we are able to solve deep scientific problems and engineering challenges, exploring theory as well as application, in areas of language, speech, translation, music, visual processing and more. As Gold Sponsor, Google has a strong presence at ICML 2016 with many Googlers publishing their research and hosting workshops. If you’re attending, we hope you’ll visit the Google booth and talk with our researchers to learn more about the exciting work, creativity and fun that goes into solving interesting ML problems that impact millions of people. You can also learn more about our research being presented at ICML 2016 in the list below (Googlers highlighted in blue). Google’s ongoing research in Machine Intelligence is what powers many of the products being used by hundreds of millions of people a day - from Translate to Photo Search to Smart Reply for Inbox. One of the things that enables these advances is the extensive collaboration between the Google researchers in our offices across the world, all contributing their unique knowledge and disseminating ideas in state-of-the-art Machine Learning (ML) technologies and techniques in order to develop useful tools and products. Today, we’re excited to announce a dedicated Machine Learning research group in Europe, based in our Zurich office. 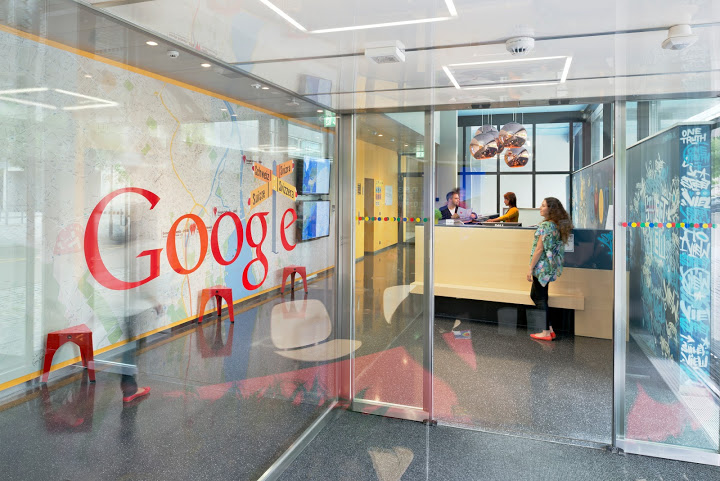 Google Research, Europe, will foster an environment where software engineers and researchers specialising in ML will have the opportunity to develop products and conduct research right here in Europe, as part of the wider efforts at Google. In pursuit of these areas, the team will actively research ways in which to improve ML infrastructure, broadly facilitating research for the community, and enabling it to be put to practical use. Furthermore, researchers in the Zurich office will be uniquely able to work closely with team linguists, advancing Natural Language Understanding in collaboration with Google Research groups across the world, all while enjoying Mountain Views of a different kind. Europe is home to some of the world’s premier technical universities, making it an ideal place to build a top-notch research team. We look forward to collaborating with all the excellent Computer Science research that is coming from the region, and hope to contribute towards the wider academic community through our publications and academic support. One of the key benefits of quantum computing is that it has the potential to solve some of the most complex problems in nature, from physics to chemistry to biology. For example, when attempting to calculate protein folding, or when exploring reaction catalysts and “designer” molecules, one can look at computational challenges as optimization problems, and represent the different configurations of a molecule as an energy landscape in a quantum computer. By letting the system cool, or “anneal”, one finds the lowest energy state in the landscape - the most stable form of the molecule. Thanks to the peculiarities of quantum mechanics, the correct answer simply drops out at the end of the quantum computation. In fact, many tough problems can be dealt with this way, this combination of simplicity and generality makes it appealing. But finding the lowest energy state in a system is like being put in the Alps, and being told to find the lowest elevation - it’s easy to get stuck in a “local” valley, and not know that there is an even lower point elsewhere. Therefore, we use a different approach: We start with a very simple energy landscape - a flat meadow - and initialize the system of quantum bits (qubits) to represent the known lowest energy point, or “ground state”, in that landscape. We then begin to adjust the simple landscape towards one that represents the problem we are trying to solve - from the smooth meadow to the highly uneven terrain of the Alps. Here’s the fun part: if one evolves the landscape very slowly, the ground state of the qubits also evolves, so that they stay in the ground state of the changing system. This is called “adiabatic quantum computing”, and qubits exploit quantum tunneling to ensure they always find the lowest energy "valley" in the changing system. While this is great in theory, getting this to work in practice is challenging, as you have to set up the energy landscape using the available qubit interactions. Ideally you’d have multiple interactions going on between all of the qubits, but for a large-scale solver the requirements to accurately keep track of these interactions become enormous. Realistically, the connectivity has to be reduced, but this presents a major limitation for the computational possibilities. In "Digitized adiabatic quantum computing with a superconducting circuit", published in Nature, we’ve overcome this obstacle by giving quantum annealing a digital twist. With a limited connectivity between qubits you can still construct any of the desired interactions: Whether the interaction is ferromagnetic (the quantum bits prefer an aligned) or antiferromagnetic (anti-aligned orientation), or even defined along an arbitrary different direction, you can make it happen using easy to combine discrete building blocks. 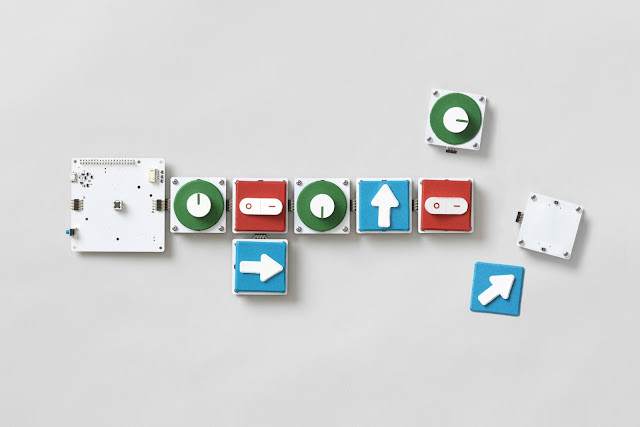 In this case, the blocks we use are the logic gates that we've been developing with our superconducting architecture. 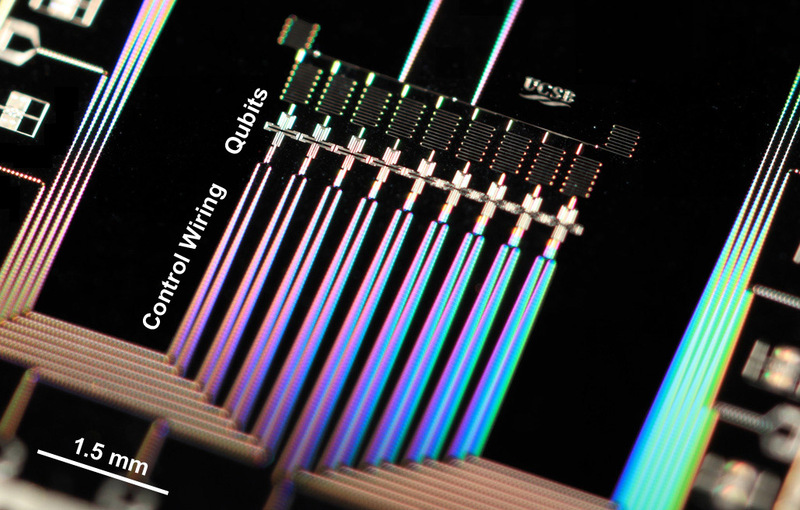 Superconducting quantum chip with nine qubits. Each qubit (cross-shaped structures in the center) is connected to its neighbors and individually controlled. Photo credit: Julian Kelly. The key is controllability. Qubits, like other physical objects in nature, have a resonance frequency, and can be addressed individually with short voltage and current pulses. In our architecture we can steer this frequency, much like you would tune a radio to a broadcast. We can even tune one qubit to the frequency of another one. By moving qubit frequencies to or away from each other, interactions can be turned on or off. The exchange of quantum information resembles a relay race, where the baton can be handed down when the runners meet. You can see the algorithm in action below. Any problem is encoded as local “directions” we want qubits to point to - like a weathervane pointing into the wind - and interactions, depicted here as links between the balls. We start by aligning all qubits into the same direction, and the interactions between the qubits turned off - this is the simplest ground state of the system. Next, we turn on interactions and change qubit directions to start evolving towards the energy landscape we wish to solve. The algorithmic steps are implemented with many control pulses, illustrating how the problem gets solved in a giant dance of quantum entanglement. Top: Depiction of the problem, with the gold arrows in the blue balls representing the directions we’d like each qubit to align to, like a weathervane pointing to the wind. The thickness of the link between the balls indicates the strength of the interaction - red denotes a ferromagnetic link, and blue an antiferromagnetic link. Middle: Implementation with qubits (yellow crosses) with control pulses (red) and steering the frequency (vertical direction). Qubits turn blue when there is interaction. The qubits turn green when they are being measured. Bottom: Zoom in of the physical device, showing the corresponding nine qubits (cross-shaped). To run the adiabatic quantum computation efficiently and design a set of test experiments we teamed up with the QUTIS group at the University of the Basque Country in Bilbao, Spain, led by Prof. E. Solano and Dr. L. Lamata, who are experts in synthesizing digital algorithms. It’s the largest digital algorithm to date, with up to nine qubits and using over one thousand logic gates. The crucial advantage for the future is that this digital implementation is fully compatible with known quantum error correction techniques, and can therefore be protected from the effects of noise. Otherwise, the noise will set a hard limit, as even the slightest amount can derail the state from following the fragile path to the solution. Since each quantum bit and interaction element can add noise to the system, some of the most important problems are well beyond reach, as they have many degrees of freedom and need a high connectivity. But with error correction, this approach becomes a general-purpose algorithm which can be scaled to an arbitrarily large quantum computer. With Motion Stills, we provide an immersive stream experience that makes your clips fun to watch and share. You can also tell stories of your adventures by combining multiple clips into a movie montage. All of this works right on your phone, no Internet connection needed. 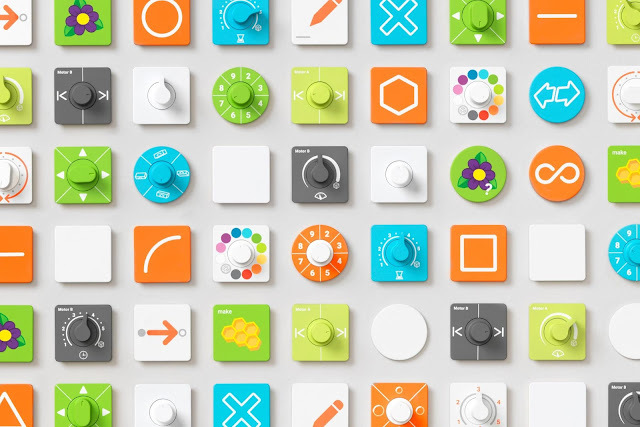 We’re excited to see what you can create with this app. From fun family moments to exciting adventures with friends, try it out and let us know what you think. Motion Stills is an on-device experience with no sign-in: even if you’re on top of a glacier without signal, you can see your results immediately. You can show us your favorite clips by using #motionstills on social media. This app is a way for us to experiment and iterate quickly on the technology needed for short video creation. Based on the feedback we receive, we hope to integrate this feature into existing products like Google Photos. Motion Stills is available on the App Store.